Magickirby is a pirate on the Sage Ocean. Senior officer of the crew Just for Fun. Former Prince of the flag As The Ship Sails. 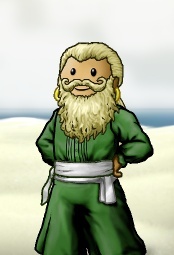 Admiral in the Barbary Island Navy in the Ibis Archipelago. Manages Space Cruiser on Barbary Island. Former senior officer of the crew Sealords of Sage and former Lord of the flag Imperial Rednecks. This page was last modified on 4 July 2010, at 15:25.